At Labelexpo Europe 2015, Wacker Chemie AG will introduce four silicone polymers in the new DEHESIVE SFX product family for industrial label applications. The new products are solvent-free and cure by a platinum-catalyzed addition reaction. They require little catalyst to cure fully due to their high reactivity. Compared to conventional coating systems, platinum savings of up to 60% are possible with the DEHESIVE SFX system, according to the company. The properties of the new silicone polymers can also be optimized specifically for fast labeling processes. The polymers’ high reactivity stems from their molecules’ star-like branched structure, in which every silicone chain branches even further. At the end of every branch, there is a vinyl group, which makes addition curing possible. Due to this 3D molecular architecture, DEHESIVE SFX polymers are able to crosslink significantly better than conventional linear silicone polymers, Wacker explained. Even at low catalyst dosage, coating systems based on DEHESIVE SFX yield a fully cured silicone layer. The resulting release properties are suitable for machine delamination at high throughputs. Due to the flat release force profile, little force is required for delamination even when labels are removed quickly, such as during mass production of consumer goods. The release properties do not change, even after protracted storage of the laminate, according to the company. Of the new silicone polymers, DEHESIVE SFX 195 has the lowest viscosity. This product is suited for coating smooth and dense release papers. The substrates are covered so that low coating weights are possible. With DEHESIVE SFX 195, low release forces are possible at high peel rates. Within the new product family, DEHESIVE SFX 250 achieves the highest curing rate and makes the biggest platinum savings possible. A release layer based on this polymer is characterized by a flat release force profile. This is an advantage when particularly high peel rates are the target. DEHESIVE SFX 280 features a balanced range of properties. The polymer cures rapidly and is suitable for the efficient coating of dense surfaces as well as porous ones. It has a flat release force profile and is thus the all-rounder among the new polymers. With its comparatively high viscosity, DEHESIVE SFX 380 is the specialist for use on porous papers. The polymer is able to cover absorbent substrates. Release forces remain low even at high peel rates. WACKER added that its new DEHESIVE SFX polymers can be integrated with anti-misting additive (AMA), which prevents misting and thus significantly improves the coating result at high speed. 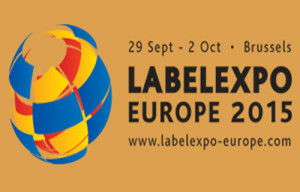 Labelexpo Europe 2015 will take place in Brussels, Belgium from September 29 – October 2.